Zed, who is President of Universal Society of Hinduism, indicated that UO seemed to have not learnt from its past misadventures of hurting the feelings of devotees with its inappropriate products. He urged UO and its CEO Richard A. Hayne to immediately issue a formal apology to the Hindu community and withdraw goddess Jewelry Stand. 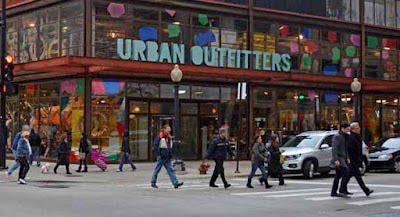 UO, Inc. offers merchandise in Urban Outfitters, Anthropologie, Free People, Terrain and BHLDN brands through stores in USA, Canada, and Europe; besides garden center, catalogs, websites and wholesale. It boasts of its “established ability to understand our customers and connect with them on an emotional level”, calls its brands “both compelling and distinct” and terms itself as “innovative” company. Richard A. Hayne and Tedford Marlow are President of UO, Inc., and Chief Executive Officer of UO Group respectively.